How do you bottle up (literally!) the treasures of an inimitable land and send them across the globe to touch everyone with their special brand of magic? When the MAC masterminds landed in Brazil and found a glittering trove of semiprecious stones mined from the country’s Mata Atlantica coastal forests, exactly such a phenomenon was born. 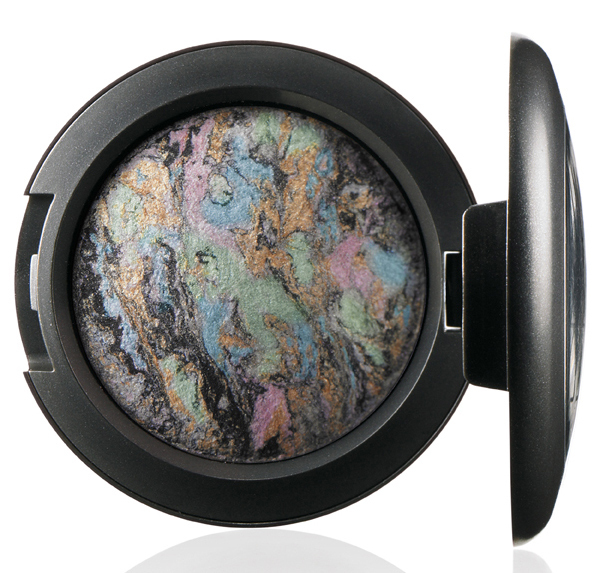 With four lustrous gems – chocolate-bronze bronzite, black tourmaline, golden pyrite and lilac-grey lepidolite – as the cornerstones, the Semi-Precious Mineralize collection literally distills the sun-kissed land’s enchantment into an innovative slew of ultra-glam pots and palettes. And ‘innovative’ is the key word here, given the technological know-how it takes to mix the makeup: First, the gems are jet-milled into a fine powder and folded into a dough-like yeast extract with 77 different minerals, which have been chosen because of their skincare benefits. Next, the dough is hand-moulded onto terracotta tiles to preserve the narural swirls of shades. Finally, the discs are baked for 24 hours to yield the marbleized makeup collectibles that never look textured, cakey or heavy. That’s because, thanks to the baking process, the products don’t need powder binders and the stones create a gorgeous luminosity. The payoff? Products that you simply cant mess up with! You can build coverage or sheer it down with total ease. Swept on too much? One more pass with a brush solves the goof-up. Want to vary your look? Dip a brush into the dark pigments to craft a deep vivacity or sweep a brush over the whole surface to create a diffuse, soft focus effect. Subtlety and drama all rolled into one – Semi Precious Mineralize is just like the land whose stories it carries.